Turner Valley Gymnastics, Royal Canadian Legion, Light of the Flares Brownies/Guides/Pathfinders, 1st Oilfields Cubs/Beavers/Scouts, Diamond Valley Creative Kids Play Group, Foothills Figure Skating, Diamond Valley Baton Club, High Country Minor Hockey, Oilfields Sport Association, Turner Valley Curling Association, Valley Neighbours Club, Sheep Creek Arts Council. 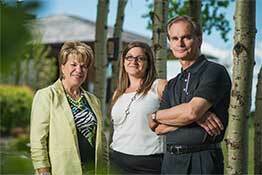 SEARCH Turner Valley MLS® LISTINGS NOW! Just minutes from Kananaskis Country, Turner Valley offers its residents and visitors a highly-valued and cherished lifestyle just 35 minutes southwest of Calgary. Rich in natural beauty, our community provides an endless choice of outdoor recreation, entrepreneurial opportunities, and programs and services for seniors, families and individuals. Nestled in the lap of Alberta’s Eastern Slopes, the Town draws visitors from around the world to enjoy its many charms, magnificent mountain fresh air and friendly people. 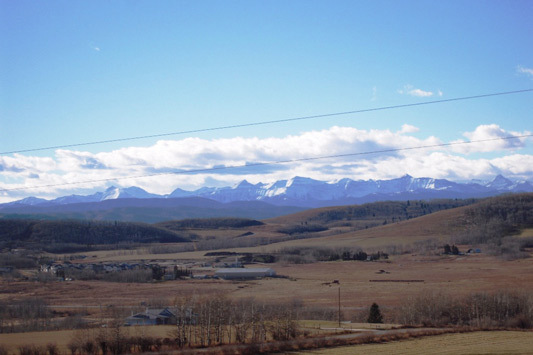 Turner Valley is a great place to live – close enough commute to Calgary but far enough away to be immersed in a less stressful rural environment. The combination of affordable housing, quality medical care, educational, recreational and retail facilities and wide open spaces makes Turner Valley an ideal location to live and work. Well maintained 1748 sqft. 2 storey walkout. 3 bedrooms 2 & 1/2 baths, plus bonus room. Nicely landscaped backyard overlooking pond. Walking paths, playground close plus R. V. parking.